The final day of the trip presented uncertain weather at first, but by the time we had abluted, the sun had made its presence felt. 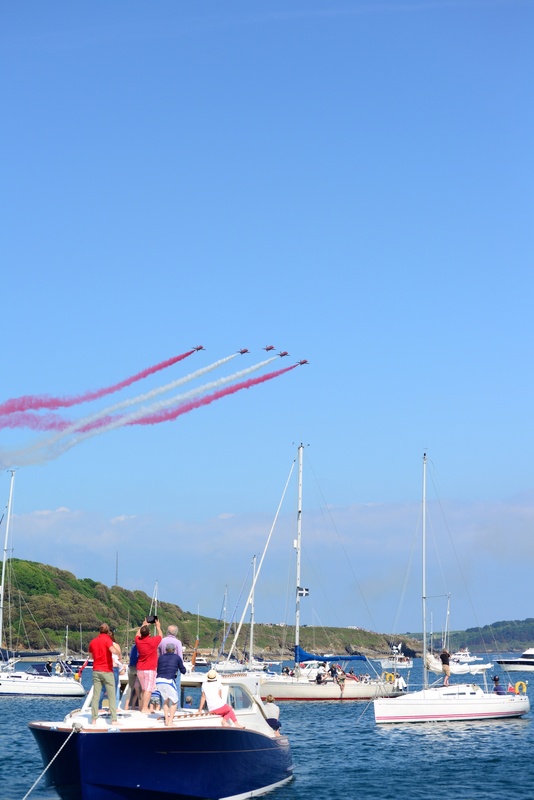 The highlight of the day was to be watching the Red Arrows RAF display team perform overhead our anchored boat. Not just us, you understand, but there would be one or two other boats in attendance. This was to be followed by haul out, and highway home. We passed a leisurely morning, me fiddling with the boat, Alice playing with Molly the retriever, Aimee reading and Niki knitting. We found time to visit the “string shop” (though I was accompanied) and prepare Sausage Casserole in the thermal cooker (now a firm favourite with the kids), for consumption later. By mid day, the skies were clear and the sun beat down; we ran down the estuary in T-shirts and shorts, amid a flotilla of boats. Seemingly every man and his dog was out in any vessel which could float. 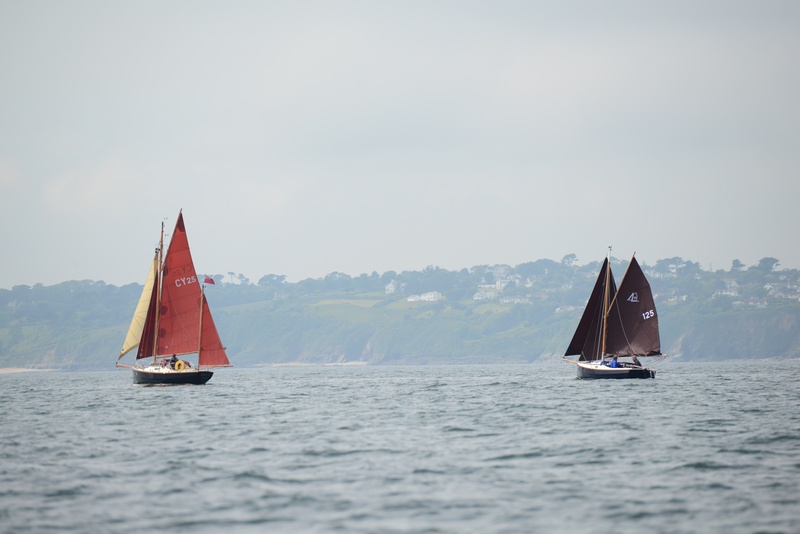 As we turned around Pendennis Head, we were greeted by the magnificent sight of three of the Pendennis Cup yachts at anchor, surrounded by hundreds of boats at anchor. We were to raft up to Lucy, and had some trouble spotting her, but eventually were spared the inconvenience of anchoring at close quarters with so many other boats. It had been conveniently arranged for an offshore breeze (what little the was), and we shared Lucy’s cockpit with Russell and the Rickards. A glass of wine or refrigerator chocolate cake in hand (depending on taste; I had both), we waited for the display to start. 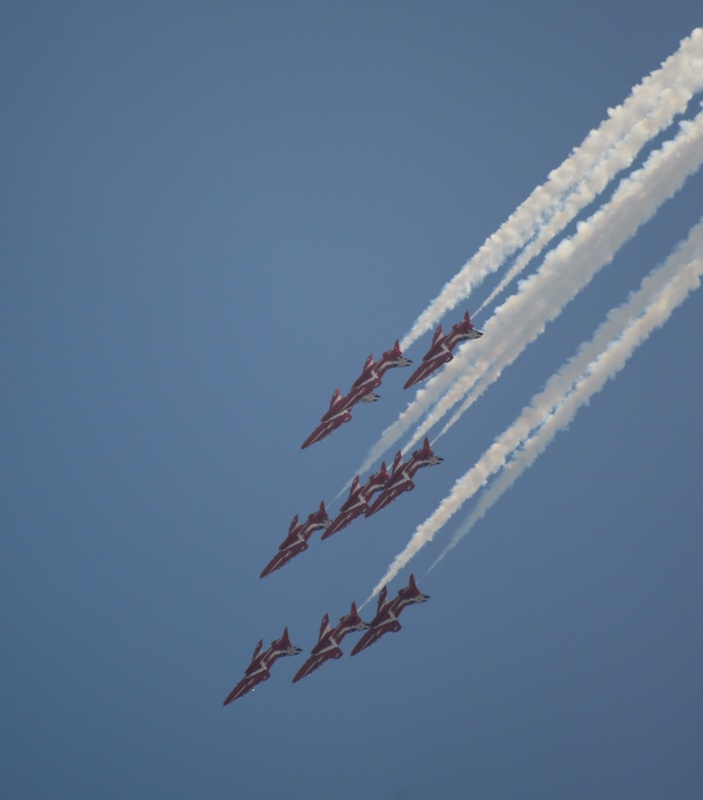 I have watched the Red Arrows numerous times in the past, but normally from terra firma. 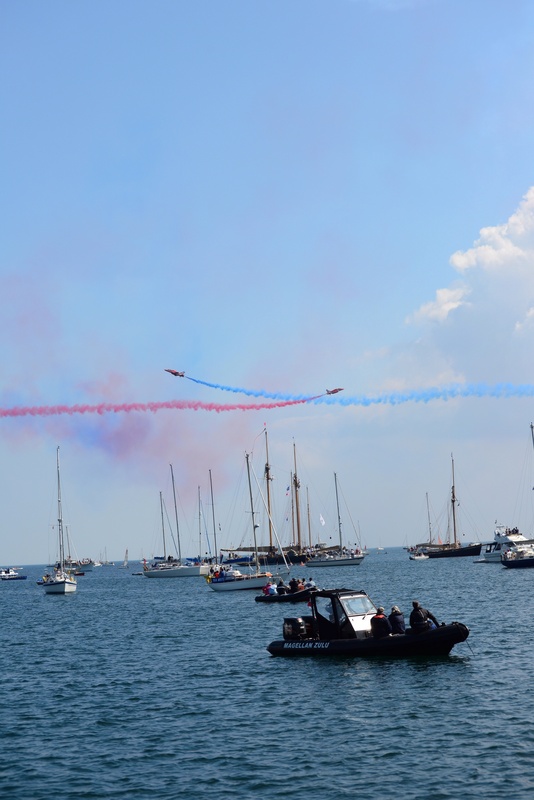 The display today must have been impressive from the packed Gyllingvase Beach, but we were beneath the epicentre of the display and it was an incredible spectacle. 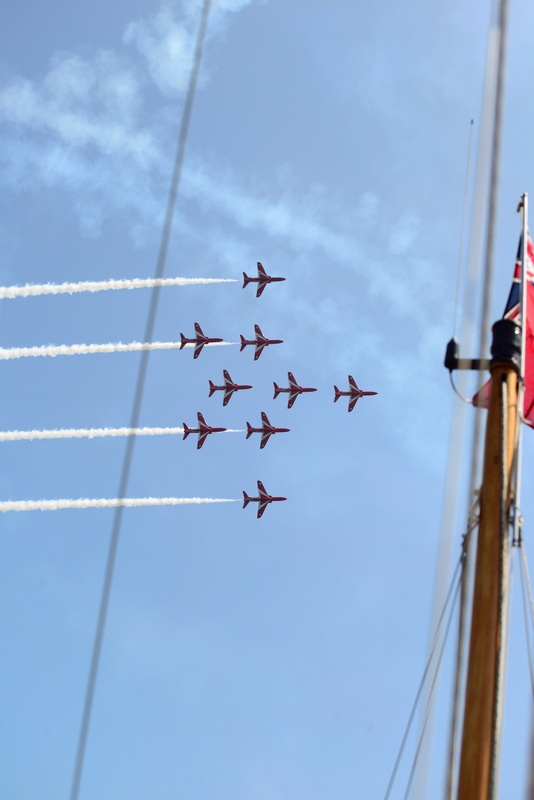 Seemingly barely above the yacht masts, the little jets spun rings around each other with breathtaking precision. 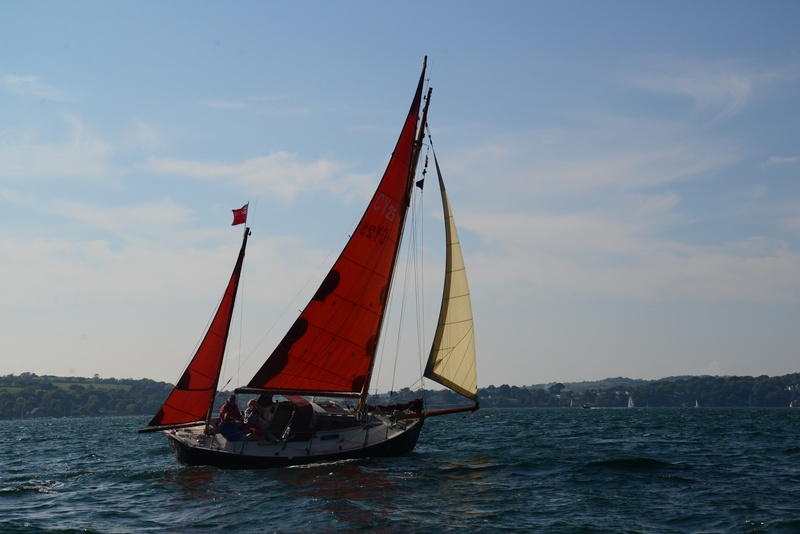 All too soon, it was time to return to Mylor for haul out and we were treated to a last exhilarating sail up the Fal. I reflected on how well the boat was sailing; I had gained a couple of useful tweaks from Dennis’ Cape Cutter Mary Ann and the new solar panels had made us self-sufficient for battery charge, despite heavy gadget use. We had re-visited favourite locations in the area and made a voyage to the head of a new river. We elected for a very late departure from Cornwall, saw almost no traffic at all and arrived safely home in the early hours of the morning. 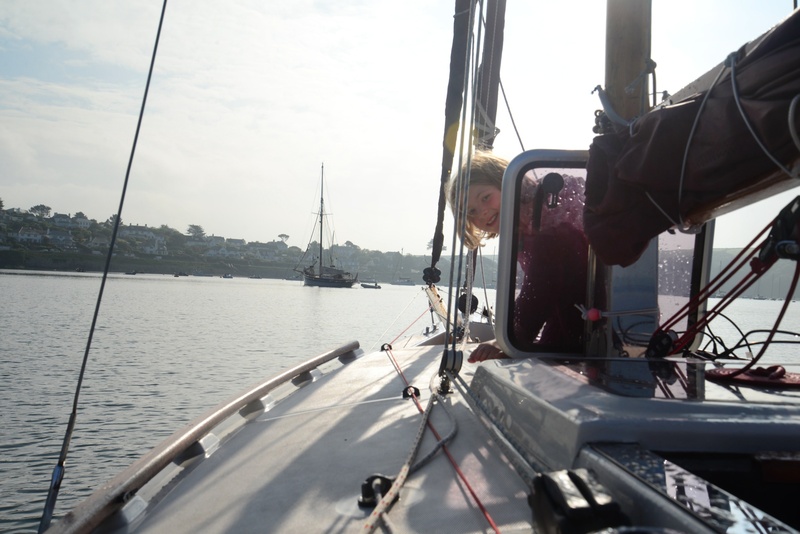 It was not the most restful night in St Mawes, as any passing boat’s wake made Aurora roll considerably; fortunately there was not much traffic, but we had several unwelcome surprises early in the morning so we were up early. The first task was to inspect the “sea life cage”, which turned up a berried velvet swimming crab (aka Queen Nippy) and two Leech’s Spider Crabs. 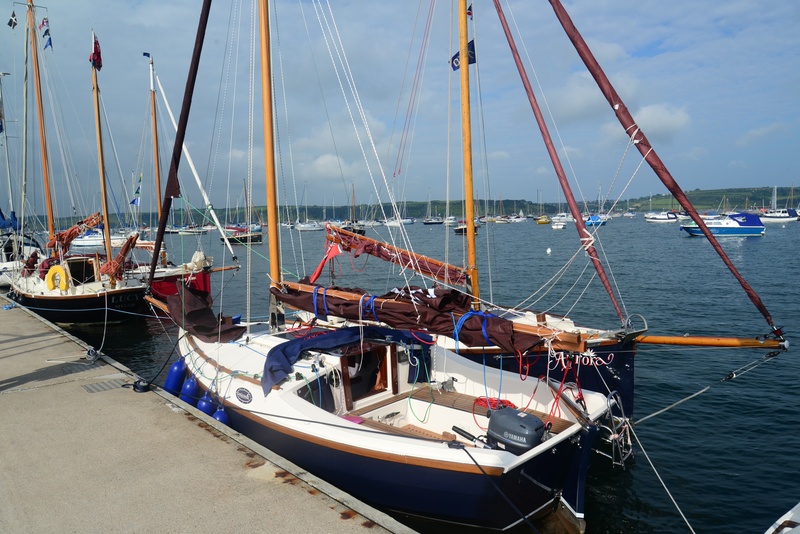 The livestock was duly returned to the sea bed and we got underway to Mylor. The weather did not look promising, but the threatening banks of cloud moved back far enough to provide some welcome sun and a nice sailing breeze. 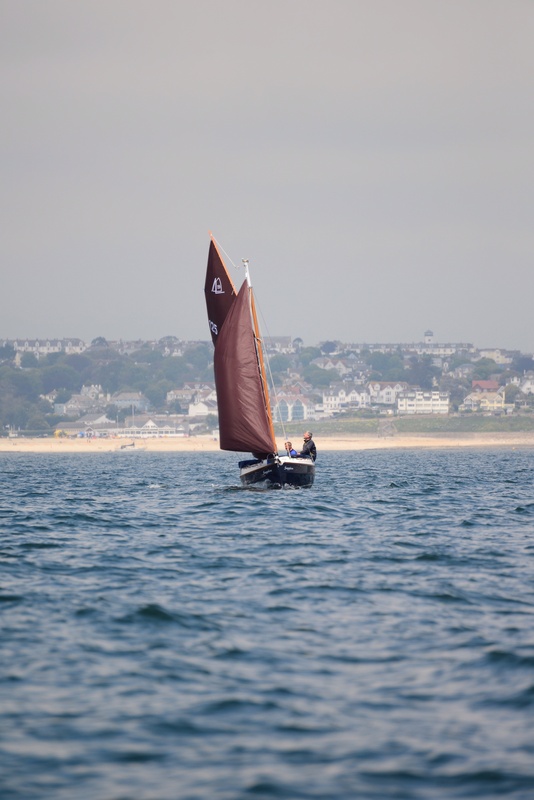 Niki and the girls went into Falmouth for some shopping, so I joined Cape Cutter 19 Sapphire and Cornish Yawl Lucy for a turn around Falmouth bay. The plan was to go out a short way into the bay and then come back for a lunch stop. Unexpectedly, the condition were perfect. 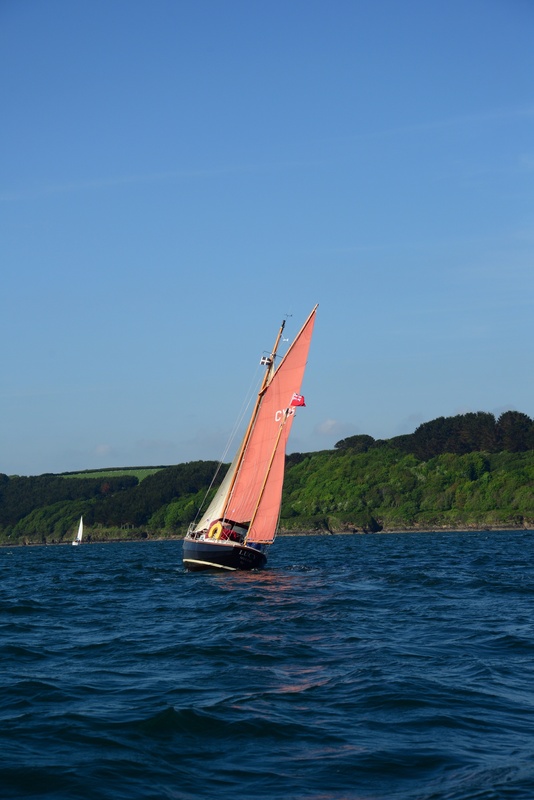 The sun shone and the breeze blew and Aurora raced across the bay on a beautiful three-sail reach and it seemed such a shame to turn round that we carried on towards the Lizard. Eventually with the Manacles reef approaching, we turned around and reached back again. 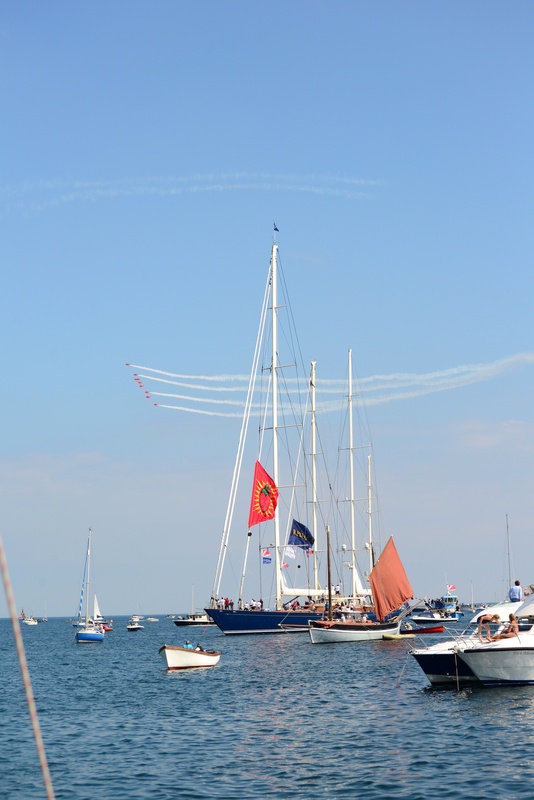 The bay was thick with boats, but the stars of the show were the huge superyachts racing in the Pendennis cup. 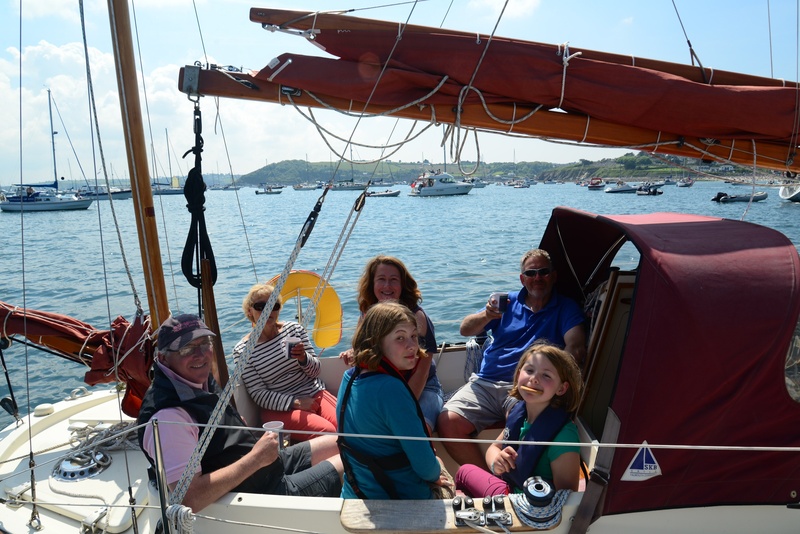 We were soon back in St Mawes for a raft-up and a cuppa, but later than intended; time to get back to Mylor for the race briefing. 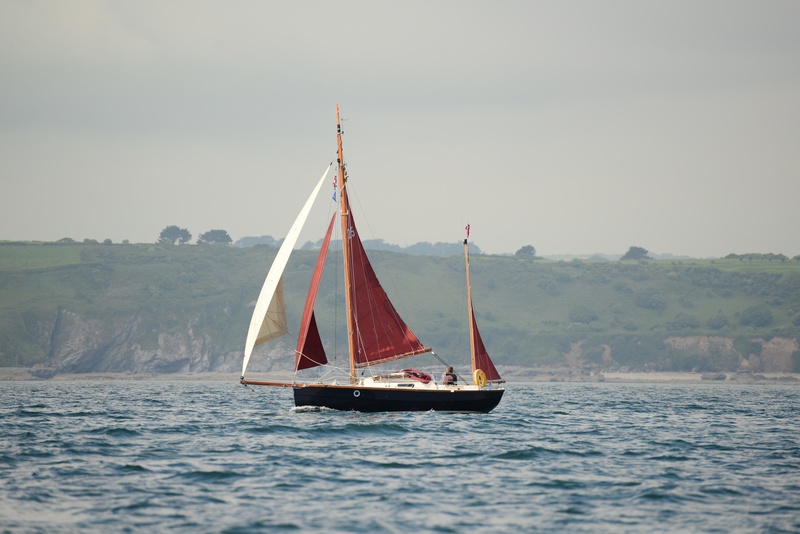 By then the wind had dropped to the lightest of airs and I joined fellow Cape Cutterer Dennis on his boat, Mary Ann. We passed the intelligence test and worked out the course we had to follow and were waiting our turn for our class to start, when someone turned the fan off and we drifted to a halt. Unfortunately, we were some way from the start line. With a (fortunately weak) foul tide, we were in danger of being unable to even cross the start. 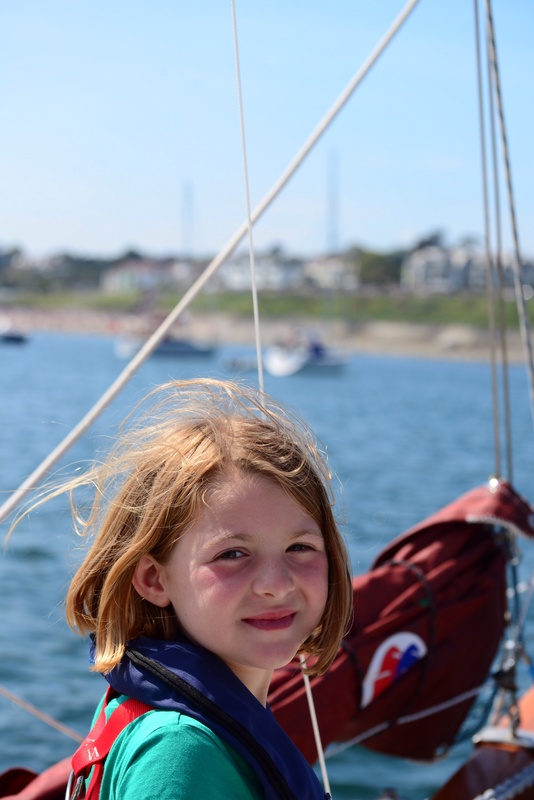 However, my dinghy days were not wasted and we managed to use the faintest gust of wind to roll tack Mary Ann around. 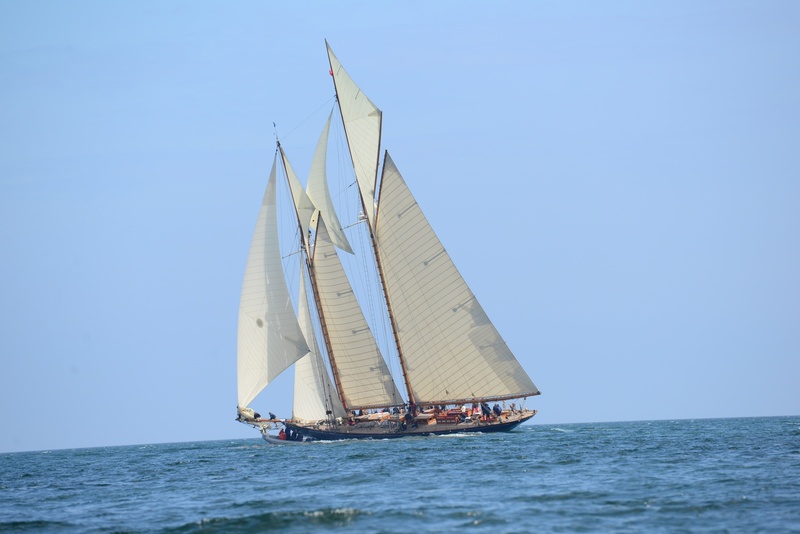 This put us a long way behind the shrimpers, who were not caught out like us, and behind Sapphire, the other visiting Cape Cutter in the race. 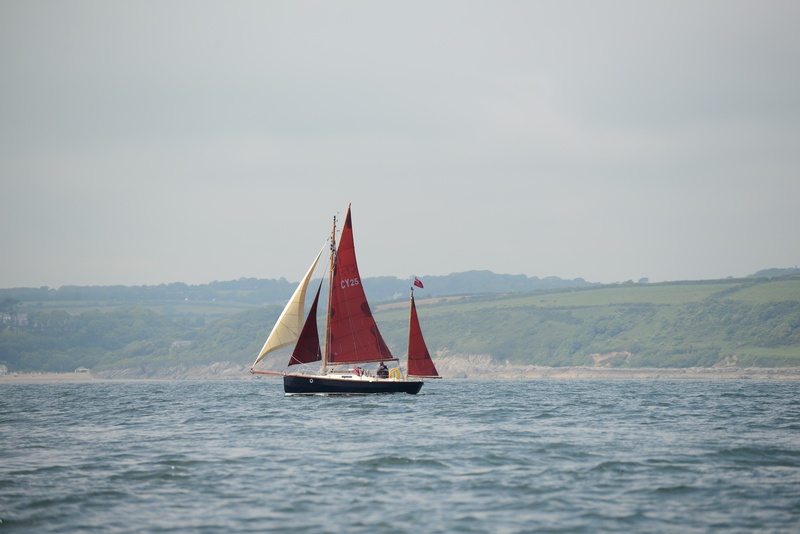 Nettie, the resident Cape Cutter, skippered by Richard Rickard, was caught out even worse than we were; as they approached the committee boat, it was decided to shorten course and the committee boat left to finish the larger fleets- this left Nettie with no start line to cross! Dennis carefully followed the gusts and we managed to pass Sapphire and several shrimpers to finish fourth on the water. The evening was rounded off nicely over a beer or two in the club house.